Autumn comes, with its shorter days and colder. Winter is approaching fast. What should we do so for his garden in the fall? The preparation for the winter course! Autumn is the ideal time to transplant trees and bedding plants for the earth is moist enough, due to regular rains. The soil is still warm with summer ends and autumn begins, the plants still have time to adjust to a new place and to form new roots. New plants can be planted in the fall, without any worry. This is your last chance before winter to bring a touch of color to your garden. Autumn is the ideal time to plant roses, for example, before the first frost. You can also plant bulbs in the fall for their flowers sprout from the ground with the arrival of spring and just color your garden. Orientation is crucial for these heralds of spring can bloom beautifully. If the soil is cool and moist in the spring, it can be dry and porous in summer, during their period of dormancy. The bulbs should be planted in the ground to a depth of about two or three times their size. 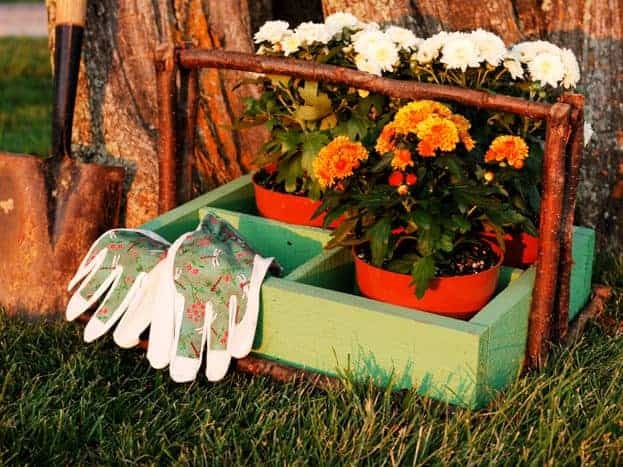 The bulbs planter allows you to easily make a sufficiently large and deep hole. Then place the bulbs in the ground, their pointed end upwards, the cover of the earth's dibble and press firmly. When shrubs yellow, their stems bend toward the ground or begin to wilt, it is time to cut them. Indeed, the plants begin to bring the sap to their own roots. If they are not cut, they may wither. Shrubs and bushes can be cut to about a quarter of their size. It varies depending on the type of shrub or bush. You can find more information on the labels of plants or by checking with your local garden center. It should carve a final hurdles fall so they do not rot with moisture accumulation. Cut evergreen hedges as much as possible being careful not to form holes or they will not grow in winter and they will have a receding appearance. Dispose also hedges of fallen tree leaves or they breathe badly, will not absorb the light and will risk rot. In winter, rain, cold and lack of sunlight degrade the lawn. That's why it needs to be pampered before the big cold arrive. 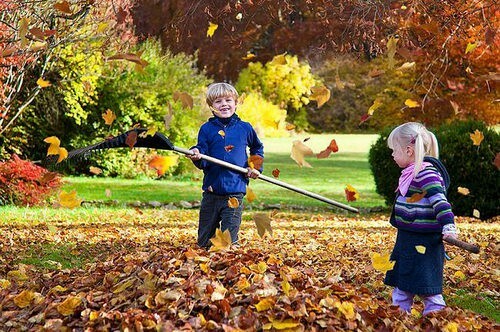 When the leaves fall in autumn, they must be regularly raked the lawn. If you leave the lawn to fail to light, which promotes the formation of brown dry land and also foam. Mow your lawn for the last time to the beginning of November. Do not mow at a height of 5 cm for taller grass better absorbs a small amount of light. It more resistant to weeds and foaming. Use of autumn fertilizer is also advised. Fall fertilizers usually contain little nitrogen and high in potassium. This amount of potassium strengthens the grass and improve its resistance to frost. In autumn, avoid using fertilizers to the traditional lawn as their high nitrogen content is such that the grass grows faster, which increases makes it more sensitive to frost. • The flower beds, roses and other plants that stand up well to freezing must be covered with wood twigs, leaves or be packed in bubble wrap or similar material. • Dig up summer bulbs such as dahlias and store them in a well-ventilated cardboard in your cellar. • Bring potted plants inside or put them away. • Disconnect the water connections and empty taps and watering devices to prevent them from being damaged by frost. • Remove the basins of pumps and, if necessary, install a pump antifreeze. With the arrival of winter, we can rest gardening tasks. But beware, there will soon be time to get there!